Project Management Skills - What Does It Take To Succeed As A Project Manager? What are the key skills needed to be successful? What are the key project management skills needed to be successful? Project managers need both leadership and management skills, with a knack for problem solving. Leaders share and communicate a common vision (future state or end goal); they gain agreement and establish the future direction. They motivate others. Managers are results driven and focus on getting work done against agreed requirements. 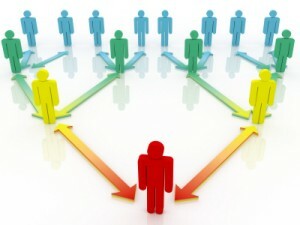 A good project manager will constantly switch from a leader to a manager as situations require. Projects are often cross-functional in that they use people who may not have worked together before. It is up to the project manager to set the atmosphere of the team, and to lead them through the various team development phases to the point where they perform as a team. Being a communicator means recognising that it’s a two-way street. Information comes into the project and information goes out of the project. All communications on your project should be clear and complete. As a project manager you will have to deal with both written and oral communications. Some examples are documents, meetings, reviews, reports, and assessments. A good mental guideline is “who needs this information, who gathers and delivers it, when or how often do they need it, and in what form will I give it to them”. Let’s just think of the aspects you will need to organize; project filing including all documentation, contracts, e-mails, memo’s, reviews, meetings, specialist documents, requirements and specifications, reports, changes, issues, risks, etc. It’s almost impossible to stay organized without having Time Management Skills – so add this to your list of project management skills! The skill of planning can’t be underestimated (and neither can estimating!). There are known and logical steps in creating plans. As a project manager you will certainly own the Project Plan, but it must be created with input from the team. Examples are Test Plans, Risk Management Plans, Hand-over Plans, Benefit Realisation Plans, etc. As long as you’re aware that planning should become second nature to you. Fortunately, this is one of the project management skills that can be learned. Having found the root causes, the next step is to analyze possible options and alternatives, and determine the best course of action to take in order to resolve the problem(s). Negotiation is working together with other people with the intention of coming to a joint agreement. And for all these you need to have some influencing skills as part of your portfolio of project management skills. Influencing is getting events to happen by convincing the other person that your way is the better way – even if it’s not what they want. Influencing power is the ability to get people to do things they would not do otherwise. Part of the Project Plan will be something called the Cost Plan. This will show the planned cost against a time-scale. The PM will want to get involved in purchasing, quoting, reconciling invoices, time sheets, etc. The project manager then needs to establish what has actually happened as opposed to what was planned and to forecast the expected final costs.